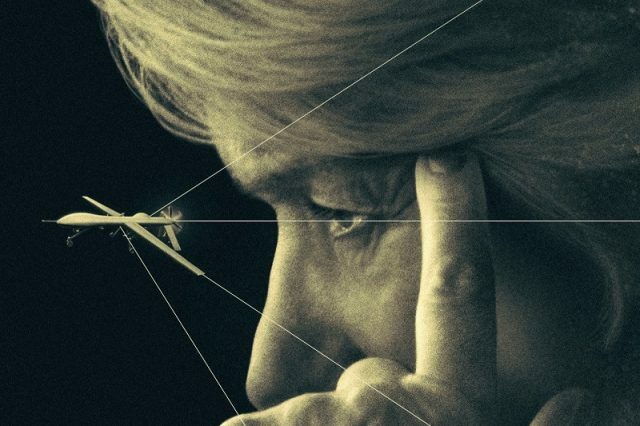 Talking about Eye in the Sky is a difficult thing to do because an audience’s reaction to it is going to be heavily influenced by their own politics and ethics. So, that said, personally I loved the film. Tiptoeing around spoilers as best as I can, Eye in the Sky tells the story of a number of military personnel facing the ethical and legal dilemmas that have to be considered when using drones against terrorists, specifically the age old question – do the needs of the many, outweigh the needs of the few? Or, to take a less Vulcan approach to the question, is the life of one innocent child worth the lives of hundreds? 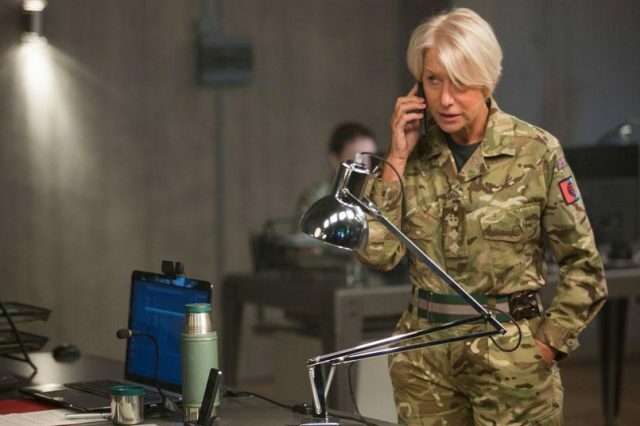 Interestingly, despite Eye in the Sky having a stellar cast including Helen Mirren, Aaron Paul, Barkhad Abdi and, of course, Alan Rickman in his last on screen role (he will be voicing the caterpillar in the Alice in Wonderland sequel), the film isn’t a character piece. Instead, it poses an ethical question and allows you to watch how it plays out, in a tense and thrilling way. The movie was incredible, being both exciting and dramatic, while also presenting a very complex moral question in a tasteful and reasoned way without ever crossing the line – which it so easily could have done – into either pro- or anti-war propaganda. It balanced the arguments both ‘for’ and ‘against’ drone strikes perfectly, reminding us that although war may be becoming more and more ‘automated’, there are still real, living, thinking people who fire these weapons and make those decisions. The irony being, of course, that although drone pilots aren’t in the field of battle and are therefore ‘detached’ from the fight, modern surveillance and intelligence gathering means that those making the choice to shoot have never been more attached to the people they’re killing, and are well aware of the impact they have on the battlefield. These people then have to live with the consequences of their choices and even Helen Mirren’s character, who was easily the most gung-ho about the drone strike, in the end, feels the weight of her decision. Although she got what she wanted, she’s well aware that the price paid was a steep one. Despite this not being a a character piece, all the roles are excellently performed with each person having their own politics, code of ethics and morals. 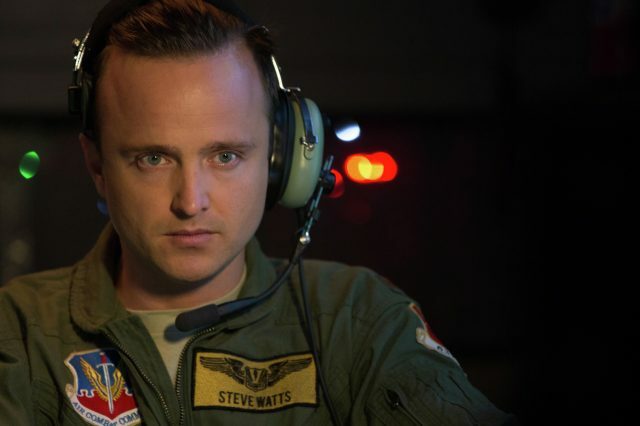 My personal favourite was Aaron Paul’s pilot Steve Watts, who is ultimately the guy who has to literally pull the trigger and fire the gun. Paul plays the pilot as a loyal and morally conflicted man who does his duty but isn’t unaware that his decisions have far reaching consequences. 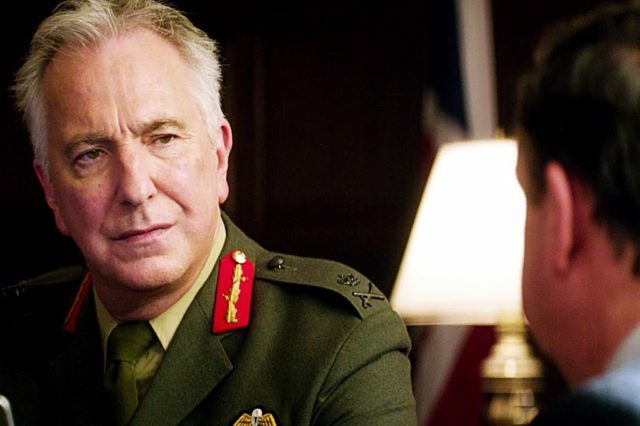 Of course, it would be wrong to not talk about screen legend Alan Rickman, who plays a somewhat world weary general who has to reign in Helen Mirren’s taste for blood and the government ministers who can sanction the attack. Rickman is superb, making what could have been a very forgettable role into his own, and his performance here reminded me what a great talent he was and what a dreadful loss his death was for the world. 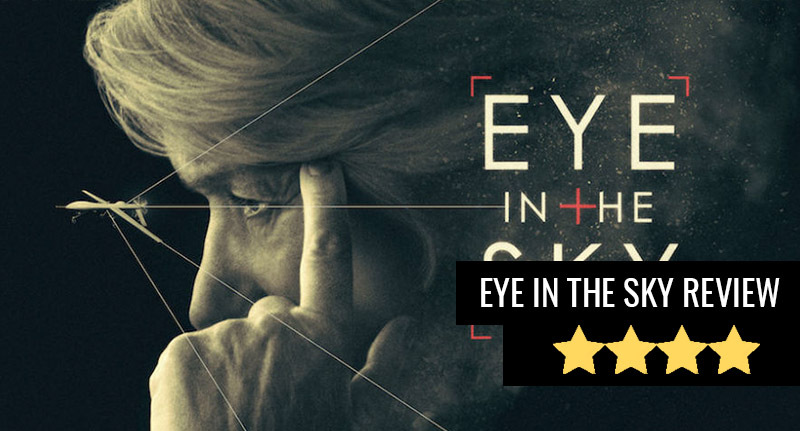 While it won’t be for everyone, Eye in the Sky is a tense and particularly relevant thriller that I can’t recommend highly enough.